Earlier this week, a huge auction of more than 2,000 pieces of movie memorabilia, including props from Star Wars, Terminator 2, and others earned over $6 million. While the aforementioned movies are a big draw, nobody was prepared to see one of the dozen 1966 General Motors TDH-5303 used in the hit 1994 movie Speed get taken home. 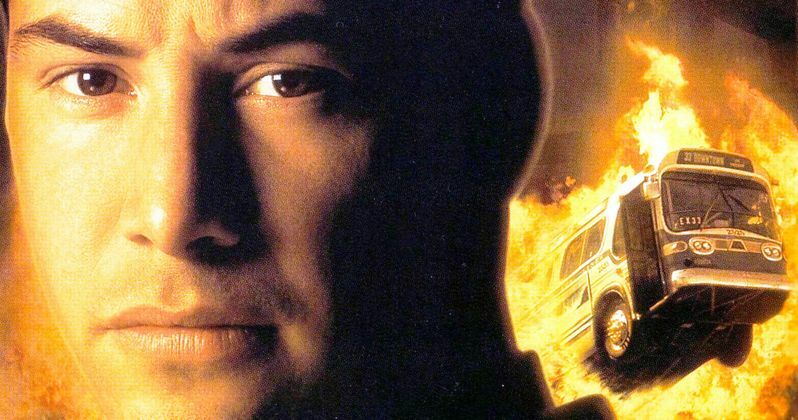 The movie starred Keanu Reeves, Sandra Bullock, and Dennis Hopper and featured a pretty interesting plot where a hijacked transit bus running through Los Angeles had to maintain 50MPH or it would explode. While not many believed that one of the transit buses used in [Speed} would sell, it did and for a lot of money. The 1966 GM bus sold for $102 thousand at the auction earlier this week, stunning nearly everybody. While buses are usually used in the background of movies in Hollywood, Speed took that idea and turned it on its head, making it the hero of the film. The bus was originally a part of GM's New Look line and the particular 5303 model was the second generation. As Sandra Bullock famously said in the movie, "it's just like driving a really big Pinto." By the time Speed was out in theaters, the buses used were 32 years old, which was perfect for the production at the time. The GM buses were cheap, noisy, durable, and easy to modify, making them ideal for a big budget Hollywood blockbuster. Though the premise was a bit shaky, Speed was a box office smash and even a hit with critics, leading to one of the dozen buses used in the movie to sell at auction for over $100 thousand. Out of the dozen buses used for Speed, two of them were blown up and one crashed into an airplane, while there were two that were used for interior shots, another set of two for exterior shots, and finally another set of two that were used for the action sequences. An additional bus was used for the infamous freeway jump scene. It is not clear which of these buses from the production that the one sold is from, but it is obviously not any of the three that were blown up. The item was listed as good condition with production wear, which means that it could've been used in the action sequences. As far as taking the Speed bus up to 50MPH, the mechanics are unfortunately untested. The previous owners acquired the bus from 20th Century Fox after filming wrapped in 1994 and have had it stored ever since. Hopefully whoever bought the Speed bus will get it up and running and take it out on the streets. That will probably not end up happening since the person just dropped over $100 thousand on it. You can check out the finished auction and see what you missed over at iCollector.